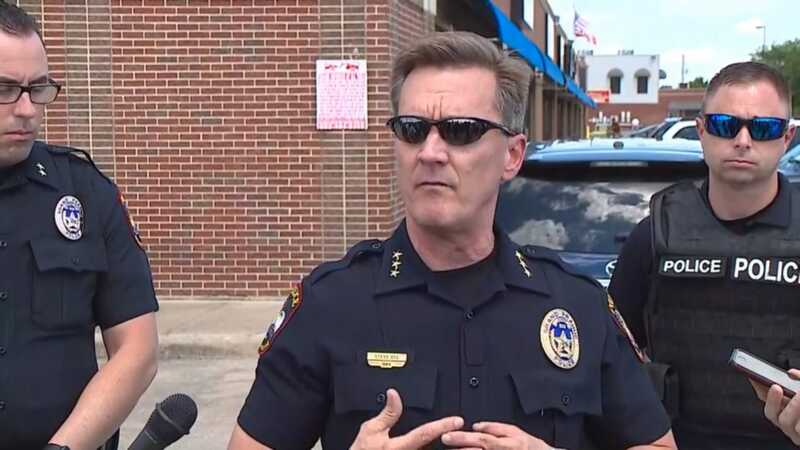 Grand Prairie Police Chief Steve Dye addresses media after IKEA police standoff ends. GRAND PRAIRIE—As first responders continue to investigate the scene Police are urging the public to stay away from the Mayfield Road and President George Bush Turnpike. A standoff between police and an armed person near the new IKEA in Grand Prairie has ended. It began as a welfare call from a concerned resident. According to police the caller noted that the driver was slumped over inside a black, four-door Cadillac which was parked near the rear entrance of the IKEA parking lot. 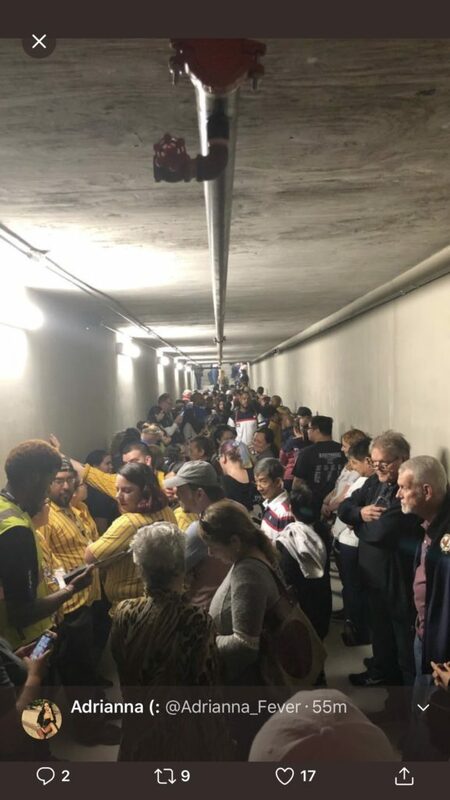 According to the narrative given by Grand Prairie Police Chief Steven Dye, the incident began around 2 p.m.
A person inside the store tweeted a photo of what looks like dozens of people huddled in the basement of the store. Witnesses say they heard several gunshots fired. The store located on 1000 IKEA Way off the President George Bush Turnpike and Interstate 20, opened Fall 2017. As police responded to the welfare call approached the vehicle the suspect brandished a rifle at officers. After more officers and support staff arrived on scene police again attempted to negotiate with the driver to exit the vehicle and receive medical attention. This happened again reports say. After the third exchange of gunfire police saw no movement in the vehicle. Upon approaching the vehicle police discovered a deceased African American male armed with one rifle. No identity has been released at this time. The exchange described sounds like what is commonly known as suicide by cop.